This modern building consists of a selection of offices provided with a full range of services and facilities to offer a highly efficient working environment. 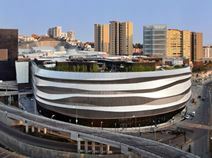 The building is located in the south area of Mexico City, in a very popular and active area. The regional transport links are also excellent and provide all prospective tenants with an extensive range of travel options and frequent services in operation locally. This office is located to restaurants where you can take your clients for lunch or dinner to start building a relationship with them. There is also parks nearby where you can go for a run or walk after work and be in nature to unwind from a stressful day at work. The regional transport links are also fantastic, operating convenient services throughout the area and connecting the site to the rest of the region. 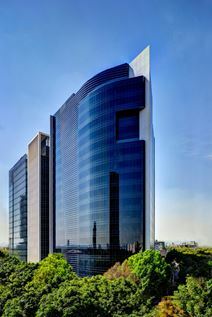 Within the ever growing and rapidly developing financial sector of the vibrant Mexico City and surrounded by a wide range of local amenities, these fully furnished and especially executive suites and open plan office space solution packages are available on the very top floor of a large and locally renowned office building, already home to a number of leading financial businesses and possessing a high level significance and prestige. 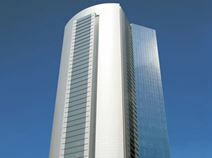 Offices available to lease in the newly-developed business zone of Santa Fe, Mexico City. Tenants will have access to a secure underground carpark, a lounge area for meeting with clients, meeting rooms and an internet café. This strategically located business centre is near all desired amenities, such as shopping, dining and hotels. Boutique offices to let in the Polanco district of Mexico City, renowned as a major commercial and cultural hub. These high quality offices are within easy reach of major international hotels, the Club de Industriales and the National Auditorium, and also a range of the highest quality restaurants. Excellent public transportation makes this a highly convenient area of town. This is a business center of the highest quality, in an unbeatable location. Set in a thriving, upmarket area of Polanco, this stylish serviced office centre offers a range of work-space solutions. The offices boast gorgeous views over the local Parque Lincoln. The area is home to an amazing selection of upscale retail and other international businesses. 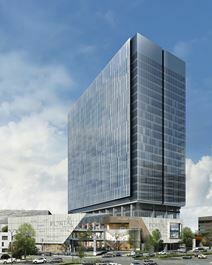 This extensive and highly professional contemporary business center is one of the district's foremost and most highly sought-after business locations and working environments. For visitors coming from further afield, Lic. Adolfo López Mateos International Airport (TLC) is less than 1-hours' drive away; making the site easily accessible for all visitors and occupying tenants from anywhere throughout the region. This exquisitely furnished business center location is conveniently situated in an architecturally striking Class AAA office building and premium corporate venue on Insurgentes Avenue. The landmark building itself can also be accessed from Kansas Street and this makes it ideal for both clients, occupants and visitors to the site. There is plenty of parking, and the center is located close to upscale hotels and housing as well as dining and retail facilities. 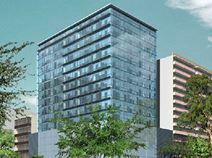 Situated in front of the Santa Fe Shopping Mall this Class A+ building is made up of 22 floors, luxury lobby areas, an on-site Starbucks, mioni market and drugstore. The brand new and award-winning offices are complemented by three meeting rooms, a co-working area, business lounge and a kitchen. Spacious office spaces available in a range of sizes and catering to a range of budgets. An excellent professional support team will provide services to the centre's tenants. The centre is strategically located in a prestigious business district of Mexico City, with current tenants in the area including some of the largest corporations in the country. Serviced offices to let in a modern building in Mexico City. This building boasts excellent views, and offers meeting facilities, parking and full professional support. It is located in the financial and government area of the capital. This prestigious modern serviced office centre is prominently positioned in a strategic site, close to banks, restaurants and shops. This building has been designed to be environmentally friendly and offers offices of the highest quality. Located to the west of Mexico City, in an ever-popular business location, this serviced office center provides fully equipped space with natural light and stunning views. Part of a mixed-use complex, which also features a prestigious hotel and many boutiques and restaurants. The business centre is strategically situated in the Polanco financial district of Mexico City. The centre's facilities and support services are of an excellent quality, and include secure, below-ground parking space for tenants. Nearby is a hotel area, as well as restaurants, banks, shops and currency exchange points. The Benito Juárez International Airport is a 45 minute drive away. Situated in the heart of the vibrant and locally significant Uptown Polanco in the most important business corridor in all of the commercially focused Mexico City, this professional business centre can be found on the 14th floor of one of two striking and modern glass towers. On-site highlights include a private heliport, parking, meeting rooms, co-working, private suites and open plan office space. This high-quality serviced office centre provides a range of superb work spaces to suit the needs of your business. This is a great location, close to museums, banks, retail and eateries, and within walking distance of many fine hotels. The regional transport links are also exceptional, with a multitude of convenient and frequent road and rail connections in place and in operation throughout the immediate locality. Situated in the heart of the financial and business corridor of the city, this iconic building offers recently refurbished serviced office accommodation on flexible terms to suit your needs. 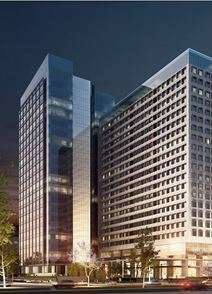 Premium office space for lease in a mixed-use development in Mexico City. This development includes a hotel and luxury shopping centre. The site has excellent access to the highway network, and the Mexico City International Airport can be reached within 30 minutes’. This modern building is situated in the heart of Mexico City's Polanco business and cultural district. It is near international five-star hotels, the most prestigious shopping in the city, fine restaurants and banks. The centre is located on the renowned Mararyk Avenue. Strategically located in one of the most prestigious areas of Santaf Fe, this impressive building is surrounded by numerous offices, leading companies and a variety of amenities. It enjoys a stunning view over the city and is close to the motorway network and public transport routes. The building is decorated to a high standard and sophisticatedly designed and offers first-class offices, provided with high quality services and facilities. This exquisitely furnished business center installation is one of the region's foremost and most extensive providers of high quality, technologically innovative and flexible workspace solution packages, offering a diverse variety of office space services ideal for any professional or corporate business requirement. The on-site facilities are state of the art and the locality includes a number of excellent amenities and local transport services. A chic and modern business centre. This centre has been built to the highest standards, with the finest materials - imported fine woods, marble and U-glass. The centre is located in the Tecamachalco area of Mexico City, with the full range of amenities nearby, including banks, restaurants and a gym. This centre is situated on Avenida Insurgentes, close to many good transport links. 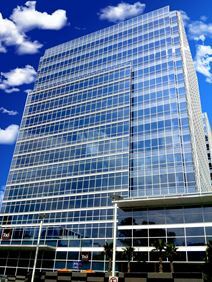 This corporate building provides superb Class A office space across several floors. With excellent parking available to clients, this is a strategic and prestigious business venue. 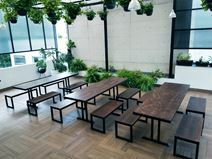 In the heart of Mexico City this space is easily accessible via the Javier Barrios Sierra Highway and is surrounded by plenty of eateries and a huge park area. With on-site parking, a wellness room and conferencing facilities complementing private and co-working spaces this is the ideal location for a range of businesses. Within easy walking distance of the metro stop Polanco, this prestigious, luxuriously supplied and highly convenient professional business center installation offers great access to the whole city from a contemporary and locally renowned corporate address, all set within a commercially significant area of the city. Fully furnished and equipped spaces are available to suit all budgets and requirements. This business centre is located on the 10th floor of a newly-completed, modern-look office tower. The building boasts spectacular views and its own heliport and an on-site shop. It is located in the main commercial district of Mexico City, and has good access to the highways and to public transport, including a nearby metro station. Located in Bosque de las Lomas, one of the most prestigious areas of Mexico City, this business centre is just a short walk from all major banks, restaurants, parking lots and local malls. Fully equipped and exquisitely furnished offices are complemented by spacious and contemporary meeting and conference rooms, allowing clients to use the space as a venue suitable for hosting impressive and highly professional conference functions and business meetings. This fully furnished, exceptionally equipped and newly constructed business center combines state of the art and incredible quality office suites and open working areas with a range of highly proficient and technically innovative facilities included on site as standard for all occupying tenants. The area also features highly convenient and reliable local transport links, connecting the site and immediate area with the wider reaches of the city, which makes this location easily accessible for all prospective tenants. This exquisitely furnished and executive business center installation is a premium standard corporate establishment providing some of the most prestigious and commercially influential workspace solution packages anywhere in the immediate region. With a wide range of executive provisions and professional facilities available on site for all occupants, this is representative of some of the best quality workspace in the locality. This exquisitely furnished and fully functional corporate workspace environment is one of the region's foremost commercial venues and offers prospective tenants with some of the most prestigious office suite placement and workspace solution packages available anywhere in the area. The regional transport link are also very good, with exceptionally convenient and frequent services in operation throughout the immediate locality. Housed in a development of mixed-use residential, commercial and corporate spaces, this building has a strong emphasis on being environmentally friendly and provides a variety of fully furnished offices. This vibrant and contemporary business center installation is state of the art and set within a vibrant and engaging commercially focused community and central business district. Home to a number of successful and widely renowned corporate residents, this region is an excellent setting for any type or form of business activity. The area features exceptional transport links and excellent local restaurants; offering all tenants everything they could possible need. This stunning and exceptionally well equipped business center is a thriving corporate environment. There is a living room with some books and Playstation 4, a couple of bicycles to ride and go around the neighborhood. Great client service and community, free beers in networking events. Come and enjoy with here! The area is filled with mostly single family homes, which were former mansions and country homes built between the colonial period to the mid 20th century. Conveniently located in a vibrant business area in Mexico City, which hosts banks, international institutions and organizations and a variety of amenities, this modern building offers first-class offices fully furnished to a high standard and provided with parking facilities and heliport. 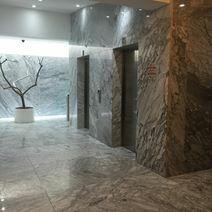 On the 12th floor of this prime landmark office tower in central Mexico City, this highly professional and exceptionally fitted business center is ideally located for easy and convenient access to a number of amenities, local services and sites of public interest including embassies, government offices, shopping malls and restaurants. Inside there is a mix of open-plan office space and fully furnished executive suites. 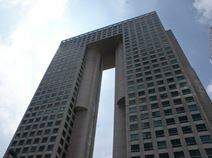 Furnished offices for lease in one of the best buildings in Mexico City. This modern building is located in a prestigious area of the city, and is near first class restaurants, shops and hotels. The building has meeting rooms, phone answering service and bi-lingual staff. This center aims to break away from your normal coworking experience. By offering guests with an open layout and innovative thinking, this location is setting itself apart form the competition. This location offers clients a premium experience and a great surrounding atmosphere, making it feel like a second home. Located down the street to many of the areas local restaurants, shopping centers and activities. 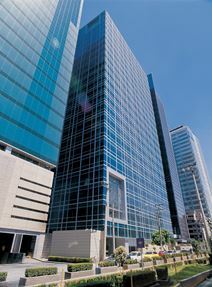 With amazing on-site amenities and professional provisions available to all tenants and visitors to the site, including a helipad this instant recognisable landmark skyscraper is right next to the Santa Fé financial and commercial districts and is well known as the first "intelligent" building in Latin America. 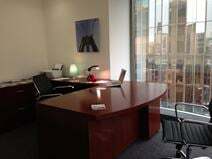 Tenants can choose from a range of shared and private offices and fully furnished executive suites. This exquisitely furnished and fully functional corporate environment presents prospective tenants with some of the most technologically sophisticated, well equipped and flexible commercial working environments available anywhere in the region. With a diverse array of varied workspace solution packages and specialist facilities and services all present on site, this center is also easily accessible for all due to the area's excellent local transport links. This fantastic location is in a residential area with lots of amenities in the heart of Mexico City. The plug-and-play set-up allows you to start working immediately from collaborative and private office options. This "green" building puts a big onus on natural resources. A number of fully furnished offices are available with 24-hour access as part of this mixed-use development. This luxuriously furnished and exceptionally modern corporate installation is a state of the art and fully functional professional business hub, offering all prospective tenants and professional clients with an unparalleled selection of technologically innovative and highly sophisticated workspace solution packages, offering technical facilities, personnel support, security, equipment and a significant degree of flexibility. Near to a number of government agencies and embassies in the affluent district of Polanco in downtown Mexico City this flexible workspace is conveniently located on the 12th floor of a prominent and locally renowned glass tower and as such provides wonderful views over the city from this prestigious landmark building's fantastic multitude of executive offices, meeting rooms and communal lounge areas. This state of the art and technologically innovative corporate business center installation is a premium provider of high end corporate workspace solution packages, ideal for any type of tenant requirements regardless of industry or commercial background. On offer within this modern and luxuriously fitted office environment are a wide range of facilities and professional services including meeting rooms, conferencing and reception. The location is perfect as is walking distance to banks, a shopping center and restaurants. Members have a couple of choices to take their clients as a celebration for closing a major deal. There is also a golf park nearby if you want to take your clients to play golf and entertain them while you build a relationship with them. The regional transport links are also very good and highly convenient for both occupants and visitors. This building is located in the beautiful/peaceful neighborhood of San Miguel Chapultepec, near the heart of Mexico City. This building offers serviced office suites that come fully furnished with flexible leasing terms. A rooftop terrace is provided for those moments when you want to get away and relax. Many of the area's local transportation stations are within walking distance form this location. This exquisitely furnished and spectacular business installation and working environment is one of the area's foremost office settings and offers a wide range of state of the art and premium standard workspace solution packages as standard, in addition to a number of technologically innovative facilities and equipment. The regional transport links are also excellent, with a number of convenient services available throughout the locality. The community at this coworking space are dedicated and innovative people, entrepreneurs who want to grow their business. All experts in different areas and they support each other to test, validate, and above all support their different platforms. If you are freelancer, consultant, independent artist, entrepreneur, etc. Then come and be a part of this Happy Workers community. The offices include: furniture, internet, copy center, cafeteria, a relax room, bike parking, exclusive benefits for members who want to continue growing their business, flexible contracts and more. Located in the heart of Santa Fe City, in a strategic area within Mexico City's business district, this is a prime business address, ideal to run a successful business. The area hosts numerous corporate buildings, banks, hotels, shops and amenities and is excellently served by transport links. The building consists of offices available in various size, meeting rooms and common areas and is equipped with the latest IT and telecommunication solutions, 24/7 access, parking facilities and fright elevators. Elegant offices of various size are available to let in this brand new building, modernly decorated and furnished to a high standard. The building also consists of spacious meeting rooms technologically equipped and of large common areas. These office spaces are provided with numerous facilities and services, including 24 hours access, control access cards, advanced electric and illuminating systems, parking facilities, private car-wash to offer you a highly efficient and professional business environment. The building is conveniently lcoated in Mexico City's business district and is surrounded by companies, banks, hotels, restaurants, universities and leisure facilities. A selection of office spaces is available to let in the centre of Santa Fe City, which hosts numerous companies and businesses, the university, restaurants and a variety of amenitites. Next to the only ecological park in Santa Fe, this is a prime business location in Mexico City's business district. The offices are set within a modern building offering a full range of services and facilities, including 24/7 access, parking areas, control access cards and the latest illumination system. The offices are available in various size to accommodate any of your needs. 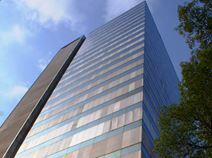 Office space for lease in Mexico City's prestigious Polanco commercial area. The Polanco area has a range of wonderful and premium standard amenities; with the inclusion of upscale shopping and dining establishments adjacent to the site itself and international, five-star hotels all within close proximity and often walking distance from the building. This makes the center a perfect location for all professional business clients in and around Mexico City. 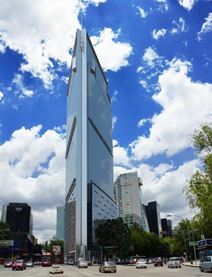 Situated just across from the World Trade Center this modern building provides a selection of fully serviced and premium offices right in the heart of Av de los Insurgentes; one of the most exclusive, executive and regionally renowned business districts and installations in the country. This prestigious center features exquisitely furnished workspace and serviced office suites, which benefit from an abundance of light to the interior sections of the building. This business center is situated at the intersection of the most important avenues in the south of the city. This Avant garde building provides modern office accommodation, with a range of business support services available. The regional transport links are also excellent, with a wide range of frequent and convenient services in operation throughout the surrounding region and immediate locality making the center easily accessible. This is a prime location for growing businesses in Mexico City, easily accessible and close to the main ring road. This serviced office is located on the 10th floor of a popular building, and is surrounded by many international corporations. The regional transport links available in the locality are also fantastic and offer all prospective tenants with a wid range of convenient and frequent services throughout the area. This Coworking center located in the heart of downtown Mexico City, surrounded by many of the area's best attractions, restaurants, incredible views and atmosphere. Tenants will enjoy the environment this center portrays, allowing minds to free flow and be productive. This location is also pet friendly and offers a rooftop terrace/garden for those moments when you truly want to enjoy the fresh air. This extremely well located centre is situated in the southern area of Mexico City; close to gyms, banks, restaurants, hotels and much more. This is a very high quality serviced office facility located in a corporate landmark building, renowned within the city as one of the foremost premium office locations around. A full range of services is available, including 24 hour security and exclusive, private parking facilities. This center was built to provide office space to any company, big or small. Fully furnished office spaces provide tenants with all of the essential tools needed for success. A long list of amenities assists with contributing to the success of your company. Local restaurants and transportation stations are located nearby this center for convenience. Flexible leasing terms help separate this center from its competition. With a strategic position in close proximity to the financial district of Polanco, in a very quiet and easy to access area. This centre provides a range of spaces ideal for any business. Close to many museums and other amenities. A wide range of offices is available to let in a landmark building of Mexico City, elegantly designed and decorated with great attention to details. Provided with state-of-the-art technology, these offices are immediately available and ready to use and benefit from numerous facilities and support services. 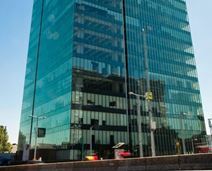 Offices to let in one of the finest and most modern buildings in Mexico City. The building boasts its own gym, a heliport and CCTV security services. The location is just nearby Polanco, the prestigious financial district, and is near hotels, banks, shopping malls and foreign exchange outlets. Juárez International Airport can be reached in 45 minutes’. The locality also features a wide range of excellent and highly convenient transportation services. Designed to encourage highly collaborative and creative working environments for tenants of all industries and corporate settings, this fantastic and highly innovative collaborative working environment consists not only of luxurious and professional co-working space but also provides a range of private office suites, event spaces and a screening room. A prime address near Polanco, Prado Norte, and Prado Sur. 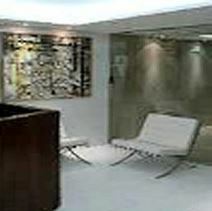 Luxury offices to let in a modern building, designed by the noted architect Robert Stern. These small offices offer an ideal location for doing business, being the premier financial district of Mexico City. In the area are also a range of prestigious international hotels, including the Sheraton, Four Seasons, Melia and Macquis hotels, as well as a range of cinemas, nightclubs and first-class restaurants. A modern and uniquely-designed office building in Mexico City, with a spacious layout, combined with interior gardens and terraced areas. 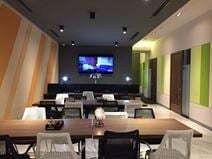 The building also has four spacious and fully functional meeting rooms that are equipped with a range of technologically innovative conferencing capabilities, a business lounge and 50 executive suites. The building is located near prestigious international hotels, excellent shopping and high-quality hotels. This brand new building consists of first class offices and conference rooms ideal to run a successful business. 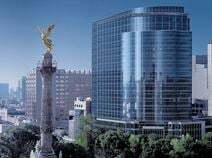 The building is located in a renowned business area of Mexico City, which hosts companies, banks, governmental institutions, luxurious hotels, restaurants and numerous amenities. With breathtaking views across Mexico City, and an abundance of natural light, these stylish serviced offices are ideal for your business. The centre is well-placed at the heart of the city's office district. This business center is situated at the heart of Mexico City's main central financial district; close to restaurants, gyms, numerous retail outlets and shops. This facility is part of an important and locally significant corporate space; featuring a characterful, historic and stunningly-designed house. Easy to access from across the city, the center is ideal for both clients and corporate visitors to the site to commute to. 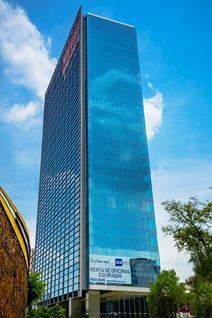 In the heart of Mexico City"s financial district this iconic skyscraper provides unique and collaborative workspace, private offices, a lounge area and conference rooms that are all just a few minutes" walk from Insurgentes Metro station. The regional transportation services in operation throughout the locality and beyond are also excellent and make the center easily accessible across the extensive local infrastructure. This exquisitely furnished and technologically sophisticated business center installation is a key corporate venue within the city's major business district and commercial region. Offering prospective tenants with a diverse and extensive range of benefits, including both on-site facilities and services as well as the surrounding areas's array of amenities, this business center is the ideal choice for professional tenants of any industry. Offices to let in a prestigious complex in Mexico City, offering breathtaking views of the surrounding area. Within the complex itself are a range of amenities, including cinema, shopping centre, a food court and fitness centre. Nearby are the US Embassy and luxury hotels, including St Regis and JW Marriot. The complex is centrally located, and is only a block away from the ""Angel de la Independencia"" monument. Located in the financial heart of Mexico, next to the Mexican Stock Exchange, this centre is close to a gym, restaurants and cafes. The centre provides furnished offices as well as a full range of business support services. Close to a wide variety of quality restaurants, and close to major hotels and the American Embassy, this modern urban building is set in the heart of the financial district and offers large, comfortable workspaces with amazing views and excellent security. Situated on Mexico Citys most important avenue, this business center provides an ideal combination of offices with high-spec IT, telecoms, security and support services, along with a reputable corporate address and flexible terms. Prestigious offices available in a landmark new complex in Mexico City. 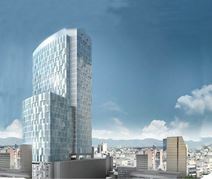 The complex includes two premium office towers, a five-star hotel and trendy shopping centre. 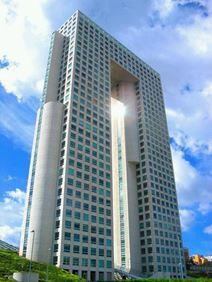 The centre is located in the office towers, which offer breathtaking views of the surrounding area. The complex is excellently located, and is near restaurants, shops and banks. Office space available for lease in an exceptionally beautiful building. The centre boasts features including a chic international restaurant, garden, underground parking for tenants, and an outdoor café and surrounding gardens. 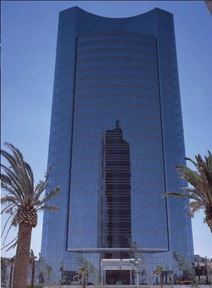 The building is only five minute from Santa Fe, a dynamic new business district of Mexico City. There is also easy access to the highways, allowing easy travel out of the city. This centre is situated close to restaurants, shopping mall and much more. Offering furnished office space, along with a full selection of business support services, this centre has everything you need and is ready for your business. 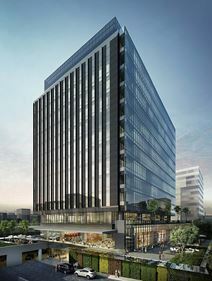 This extensive and premium standard workspace center is one of the region's foremost and most prestigious corporate locations, offering prospective tenants with flexible terms of occupancy on a multitude of exquisite workspace solution packages which are perfect for any type of corporate requirement or professional office need. The regional transport links are also excellent, with frequent and convenient services in operation throughout the locality. This exquisitely furnished and luxurious contemporary business installation is set within a vibrant and commercially significant corporate district, locally renowned as major working environment that hosts a number of high end and successful corporate occupants and business residents. The locality also features a vast array of amenities and local services, in addition to a number of excellent and highly convenient transportation networks. This space has a wide coworking that has different projects, companies and professionals under the same roof. The community and staff encourages innovation with continuous events. The staff encourages the community and they build and grow their relationships. They have open, unlimited options, fixed spaces and private offices. At this coworking space they encourage the community with a list of events focused on business, innovation, entrepreneurship and new ways to create impact in their companies. 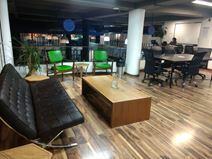 Situated in the heart of the Juarez district of Mexico City, close to the popular and highly renowned Monument El Ángel de la Independencia, this creative and collaborative co-working office space is ideal for anyone in search of a fresh, innovative and unique working environment with a truly one-of-a-kind atmosphere and level of prestige. Close to a variety of transport links, this is an ideal location for any business. This business centre is close to the Highway 57, and just an hour from Mexico City airport. Occupying the fourth floor of an exclusive shopping mall, this stunning property provides superb office accommodation which benefits from excellent natural light. The regional transport links are also excellent, with a wide range of local services in operation throughout the immediate area and beyond to make this site easily accessible.